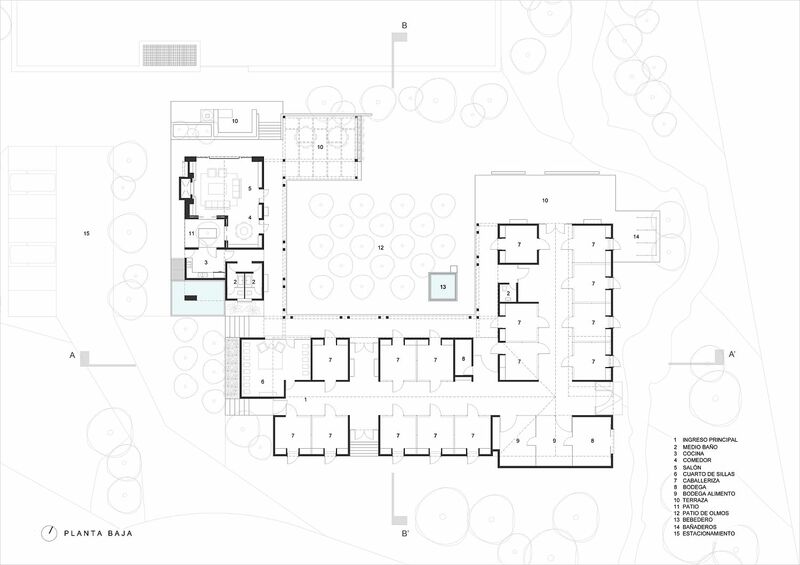 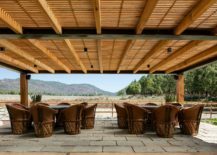 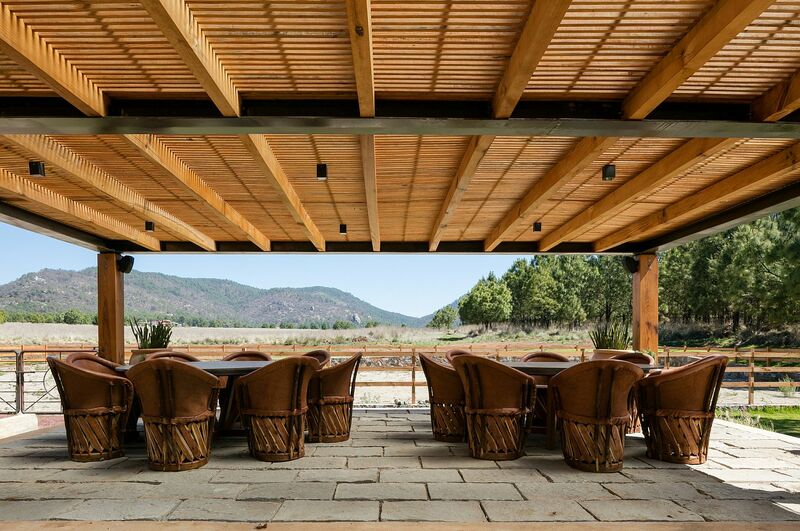 Part of a larger community of homes and ranches spread across the region, Rancho San Francisco in Tapalpa, Mexico finds inventive new ways to blend in with the landscape around it. 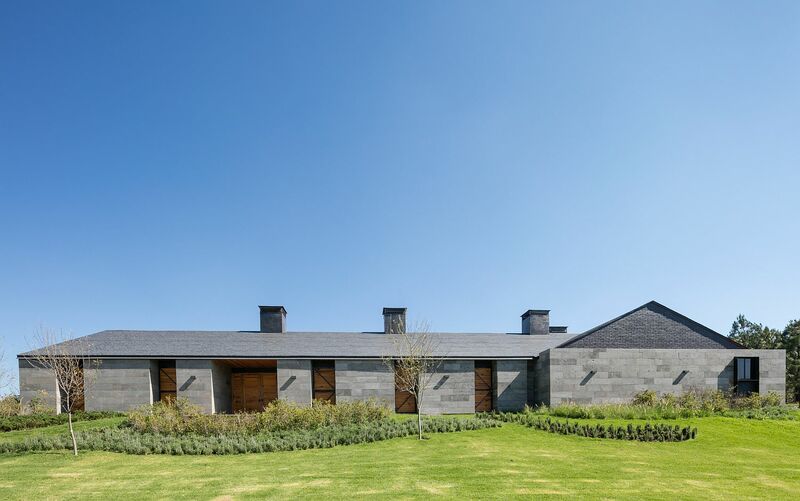 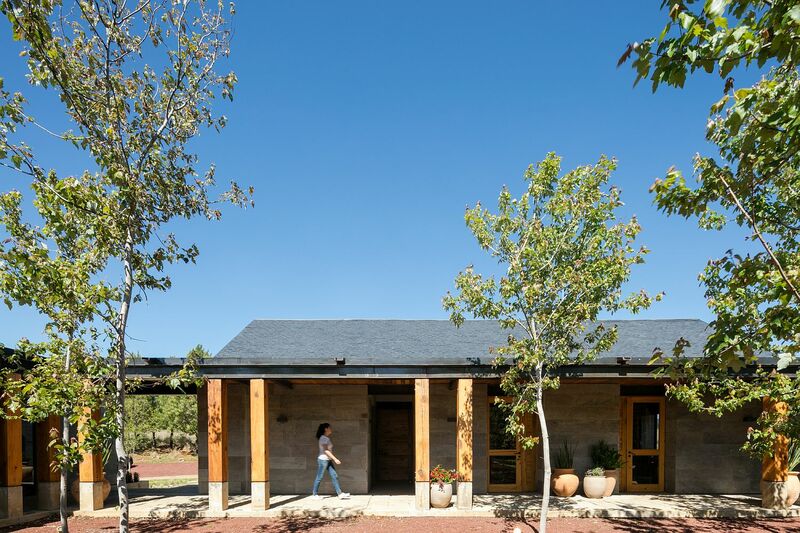 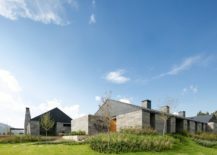 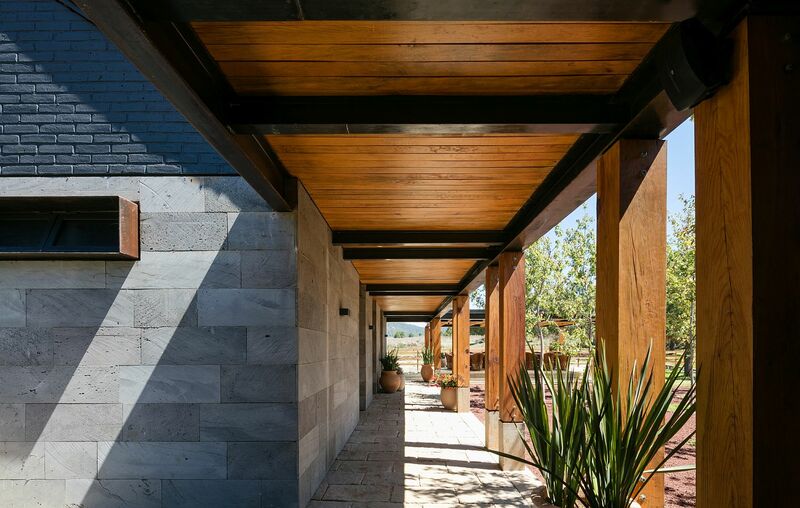 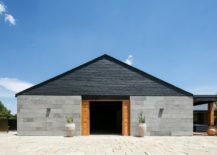 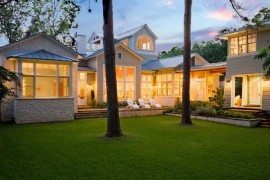 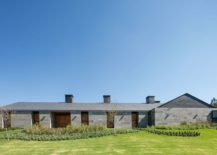 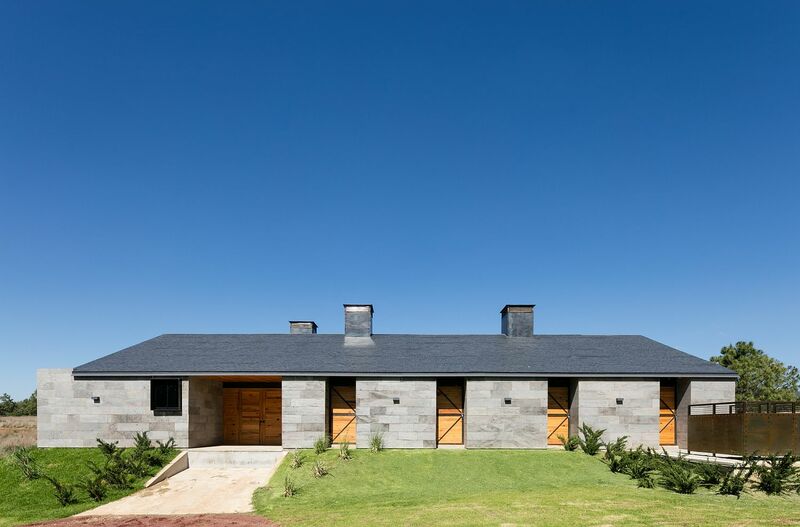 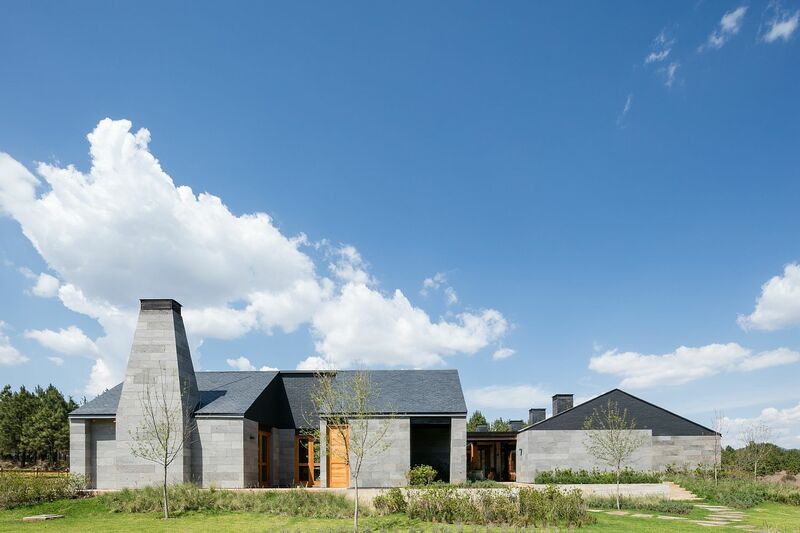 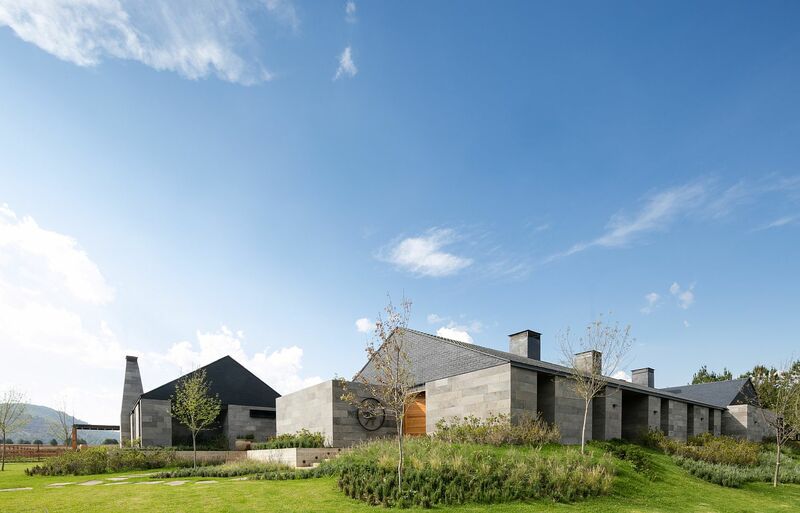 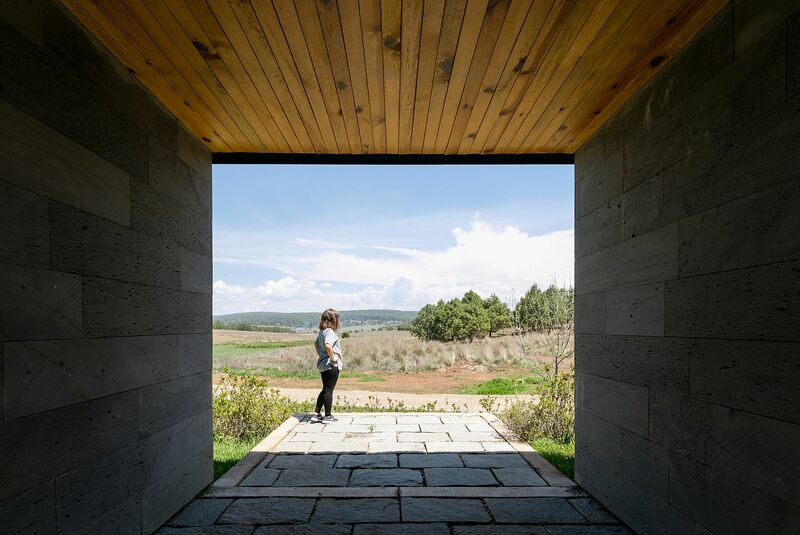 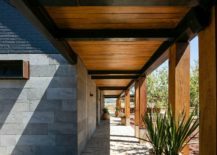 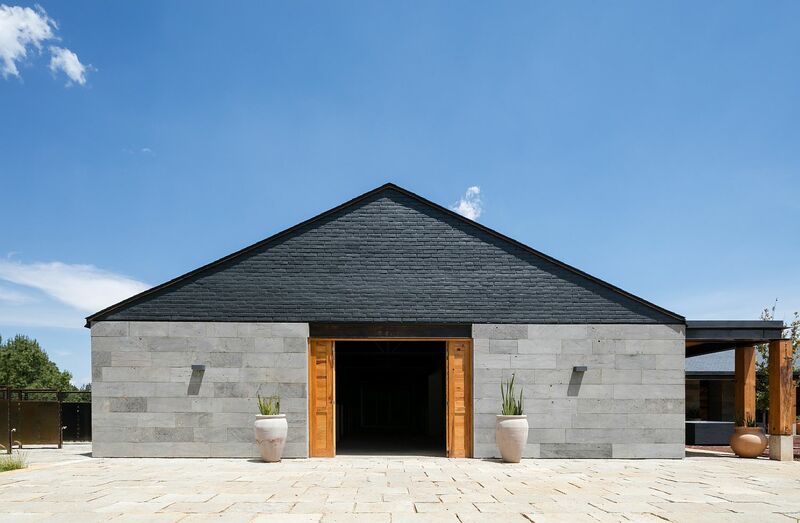 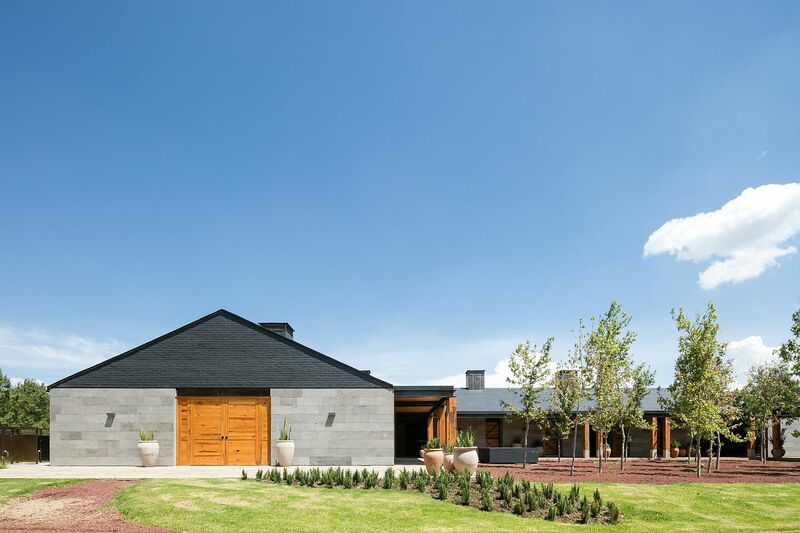 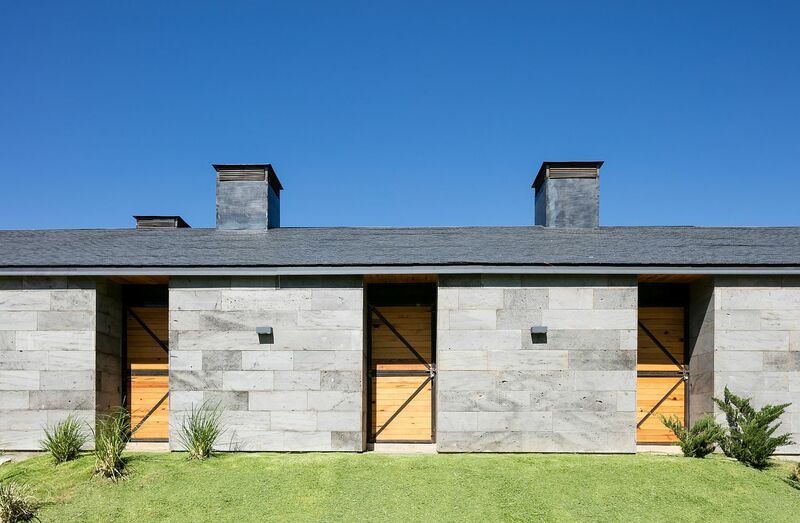 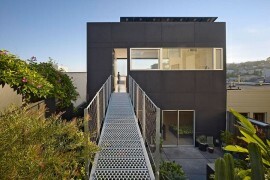 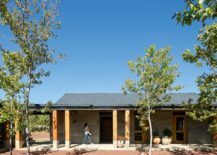 Designed by AE Arquitectos, this large and spacious home is instantly recognizable thanks to its exterior in gray that has been crafted using cut and molded volcanic rocks. 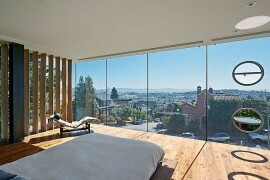 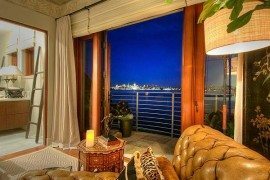 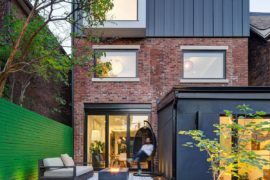 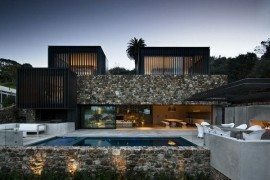 The rocks give the home a personality of its own even while striking to the contemporary-urban narrative of the structure. 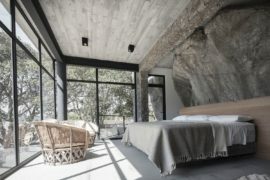 Pinewood has been combined with the stoic presence of rock to add a warm, cozy appeal to an otherwise minimal silhouette. 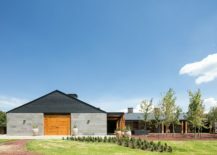 Rancho San Francisco is pointing north and looks into the open field for horse-riding and other horse related activities. 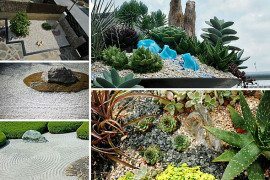 Finally, the landscaping had to take into consideration the copious raining season. 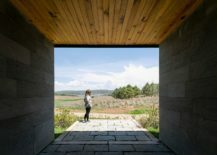 We designed a water borderline for the falling rain to flow into.